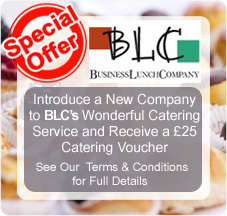 'The Business Lunch Company' is a leading Cardiff based catering company which delivers first class food, designed to suit individual company requirements and budgets. 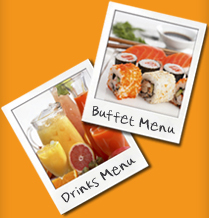 Our catering services provide the perfect blend of delicious food, creative ideas and professional staff. By offering the highest quality business catering, from hot buffets and three course meals to cold buffet menus and internationally inspired platter menus, South Wales' Business Lunch Company has earned the reputation as one of the Capital's leading business caterers delivering daily to many account customers..
BLC has an extensive range of wonderful menus from which to choose, each one designed to the highest standard using both the freshest locally sourced ingredients and internationally renowned specialities. Our menus include traditional favourites including Great British breakfast buffets, canapes and sandwich platters to the finest Asia inspired sushi and savoury Indian dishes. For more information about our catering services or to place an order please browse our site or call us on 029 2046 2288, alternatively you can click here to send us an enquiry for a prompt response.